Young Jemimah Rodrigues earned her maiden call-up to the national side. The Board of Control for Cricket in India (BCCI) has announced the ODI squad of India Women’s side for the upcoming South Africa tour. The team will play a three-match ODI series against Proteas Women commencing on February 5 before which they will also play a warm-up game in Bloemfontein. Interestingly, the series will be played when the Men’s team of both the sides will be locking horns in the limited overs. However, the young Jemimah Rodrigues has earned her maiden national call-up to the Indian side. She has performed exceptionally in the domestic arena also continuing her impressive show in the recently concluded Challengers Trophy for India Green. The Girls in Blue will be playing their first series after a sensational World Cup campaign last year in England. They had qualified for the final much against the expectations of everyone by beating the defending champions Australia in the semi-finals. Though they ended as the runners-up, India won the hearts of so many cricket fans for their stunning performance. Team India will be led by the veteran Mithali Raj and will be assisted by Harmanpreet Kaur who is the vice-captain of the side. 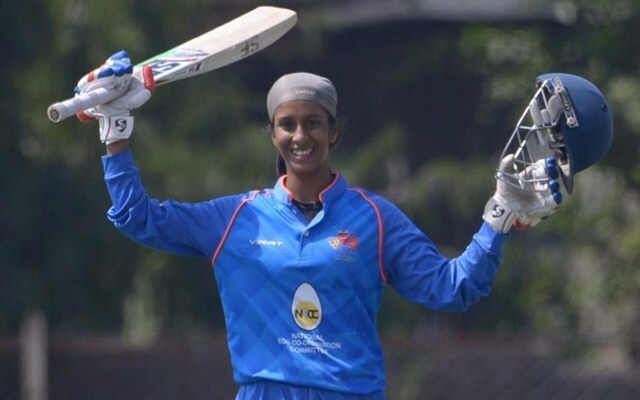 Smriti Mandhana and Punam Raut will continue to open the innings even as the likes of Deepti Sharma and Veda Krishnamurthy have been picked which was expected. The highest wicket-taker in the world Jhulan Goswami will lead the bowling attack in the alien conditions and Shikha Pandey will share the new ball with her. Taniya Bhatia will travel with the team as the backup wicket-keeper to Sushma Verma who did an excellent job in England last year. The spin-bowling trio of Poonam Yadav, Ekta Bisht and Rajeshwari Gayakwad have also managed to make the cut. India will also play a five-match T20I series after the ODIs and the squad for the same will be announced later. Follow more on this cricketing story on CricTracker.